Rubbermaid Brute trash can lids are a seamless design and are made of polyethylene construction that won’t dent, rust or leak. Strong, snap-on trash can lids provide secure and stable stacking. Ideal for either commercial or residential use. Gray color is NSF/USDA approved for food contact surfaces and NSF tested/certified. 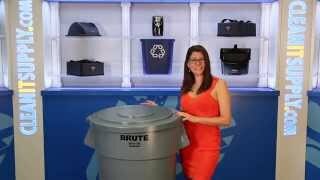 Manufactured by Rubbermaid Commercial Products. Readily Available to Ship Fast! 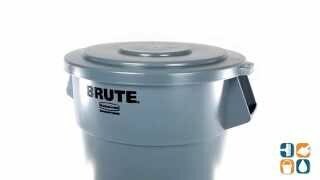 Fits all Brute 55 Gallon Round Trash Cans, sold separately (RCP2643). Dimensions: 26-3/4" diameter, 2"H.
It is for garbage collection home and for my tenant Item was sturdy and great quality I will definitely recommend to friends and relatives to use this company if they need trash receptacles .